I’ve been rubbish with blogging the past week. I’m ashamed but have had tech difficulties and been coming home for christmas break so have been slightly preoccupied. Today I am sharing a recent mani swap with @mynailpolish_addiction – check out Jessica’s gorgeous instagram for daily posts! 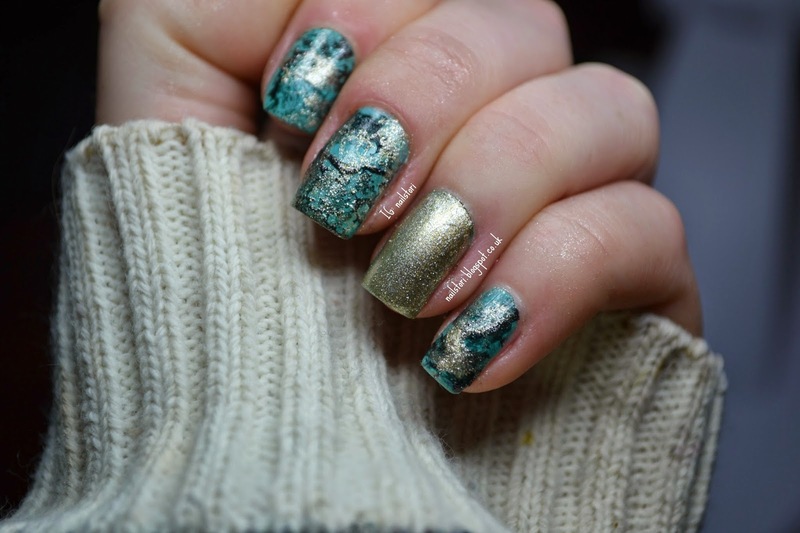 Using: OPI – natural base, Sinful Colors – Teal the end, Sally Hansen – Gunmetal gray, Gold with no name and Essie – Good to go. This is a technique I have tried once before, I love it so much because it’s really simple to create. I love that Jessica used two colours both the black and the gold I think it works so well, the gold adds a lush glitter to the nail. 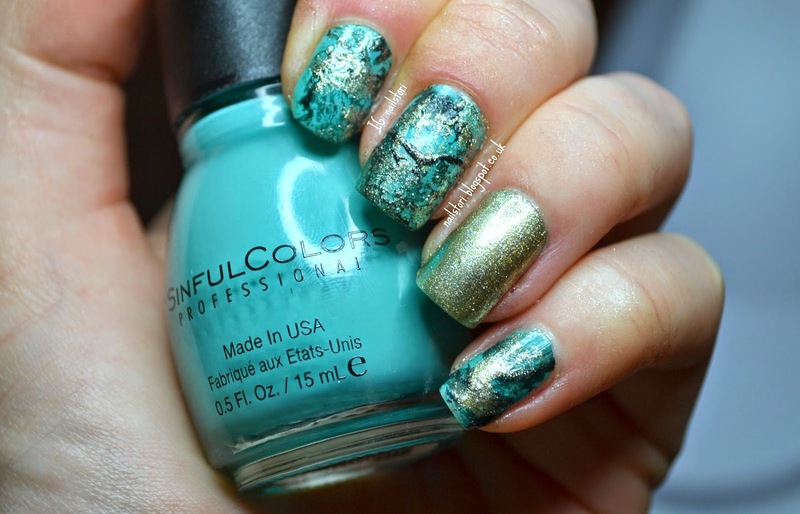 I really love doing mani swaps, it’s so fun seeing how the mani’s turn out and getting to see peoples take on designs! More Christmas mani’s coming up and also Ciaté mini mani month swatches.